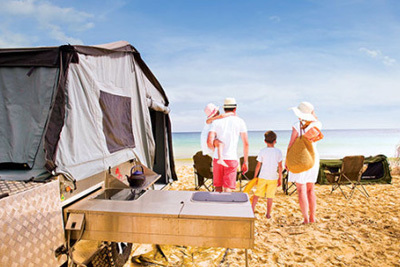 Suppliers of QUALITY Australian Made Camper Trailers. Your one-stop-shop for all things camping! All our camper trailers come equipped with a number of unique features, along with a range of optional extras to choose from so you can customise your camper trailer to suit your needs. Great off road performance means our campers will go where ever you and your 4WD want to take them. Whether you’re heading through Cape York or across The Simpson Desert you will find our campers easy to handle even in the harshest of conditions. All our campers are 100% manufactured in Australia utilising the best materials, including 100% Australian steel.